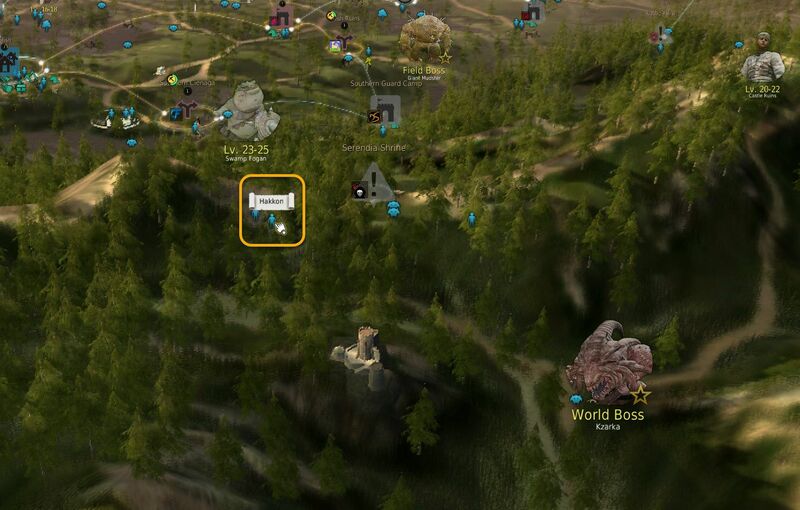 World Bosses in BDO provide one of the best ways to acquire boss-gear weapons, therefore it's essential to know the what's, where's and how's of them. 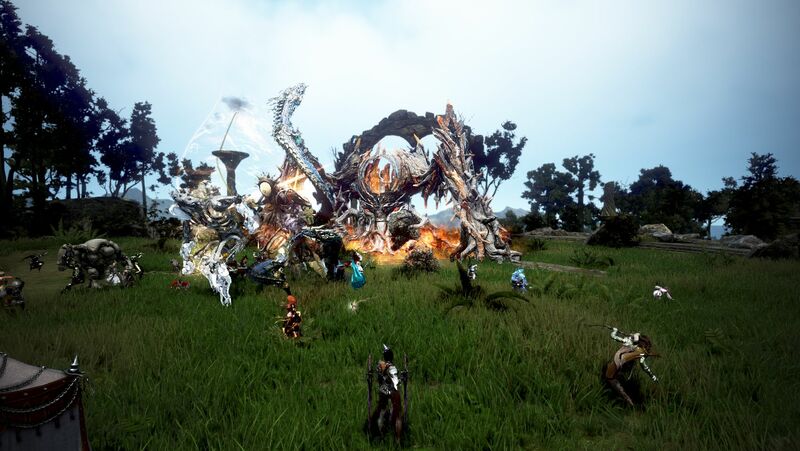 World bosses in Black Desert Online, offer a nice PvE-side to the game, and what’s more important, they can fund you with the most craved boss-gear you can find! Let’s break down each one of them, and discuss where you’ll find them, how to gain knowledge about them (therefore better damage & better drops), as well as the attacks you should expect and the strategy you should follow in order to not die (too many times). Kzarka is the easiest to reach, and easiest to kill world boss in BDO. Might not be the easiest to stay alive through, but almost always the amount of people fighting Kzarka are enough to kill him in 5 minutes or less. Kzarka spawns deep inside Serendia Shrine, just a few minutes south of Heidel. It’s definitely the most popular boss, since it has the most weekly spawns of any other world boss, and well it drops the Boss-Gear main weapon that all classes are after, especially when starting out in the game. 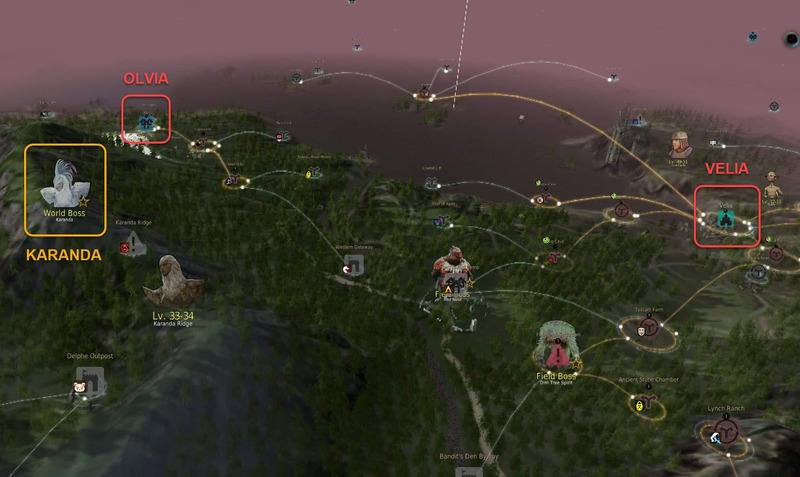 Increase amity with Hakkon, the node manager of Serendia Shrine. When successful you can see Kzarka’s health bar, and if you’re lucky and get an S knowledge, you will get a higher drop change on the boss weapon. 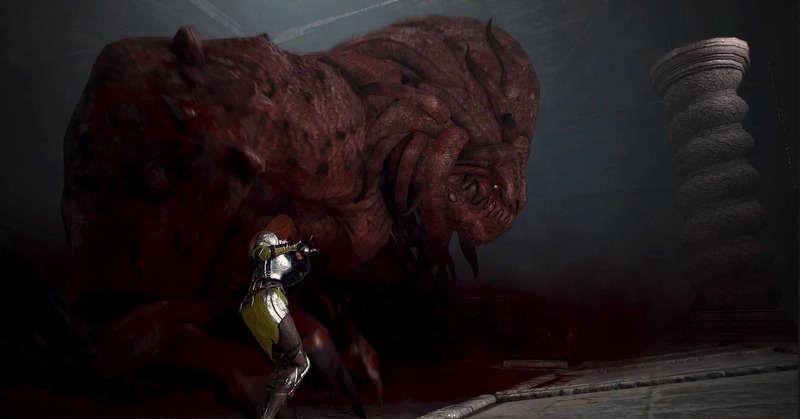 Kzarka could be easily considered as one of the easiest bosses to kill (since most of the times it’s packed with people), but at the same time it’s one of the hardest to die to, since there is only one special attack that is dangerous for 1-shotting you. Kzarka attacks quite a small area in front of him. Easy to avoid if you make sure to stay at his back. Damages an area in a cone to one pillar. 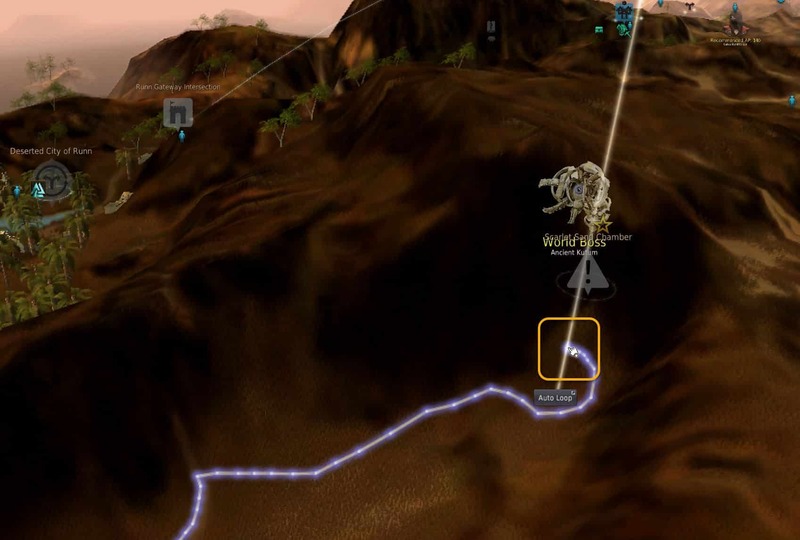 The area will be marked just before the AOE starts. Hide behind that one pillar or simply get out of the marked area to dodge this attack. The entire room centered on Kzarka and ending at the pillars gets covered in a deadly fog. When you don’t dodge this ability it will kill you. Most people usually pay attention to when everyone runs away from Kzarka and then follow. 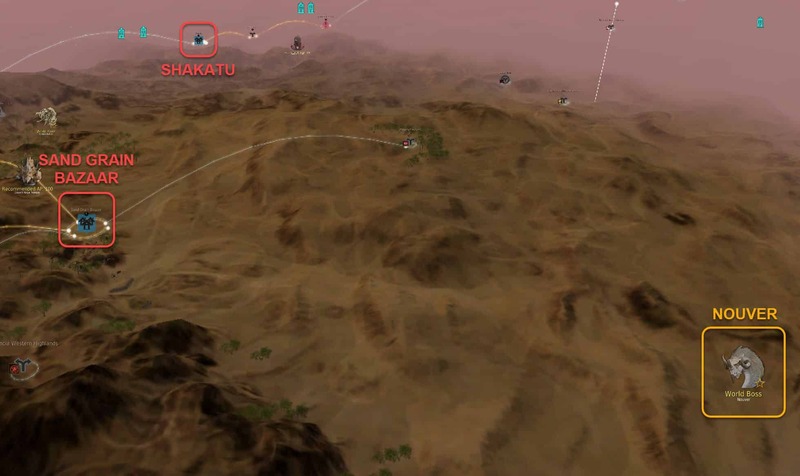 Small circled areas get marked and then hit by meteors. With low health and DP this attack can still potentially kill you. Easy to dodge however. Kzarka’s most important drop is the Kzarka Sealed Weapon Box. This drop easily saves you 100 million silver during the early game since buying it will cost about that much. Further he also drops hunter seals, black stones and various crystals. An alternative to the Kzarka Sealed Weapon Box drop is getting 100 Latent Aura’s from Kzarka because they allow you to create a sealed weapon box as well. In my opinion on average you get about 3 aura’s for every 2 times he’s defeated. Karanda is the second boss discussed today. Harder than Kzarka but easier than the other bosses she makes for a nice step up in your BDO journey. 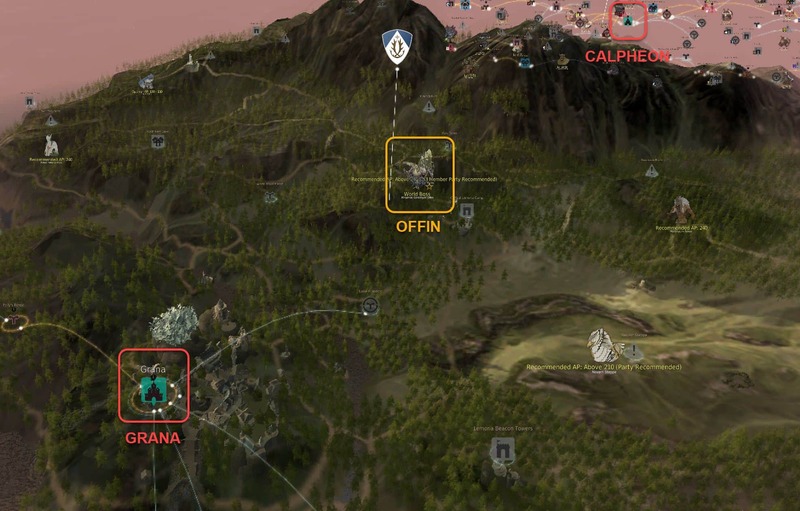 Karanda can be found on Karanda Ridge which is located north of Delphe knights castle and Calpheon. When you walk up the mountain you’ll easily run into her. 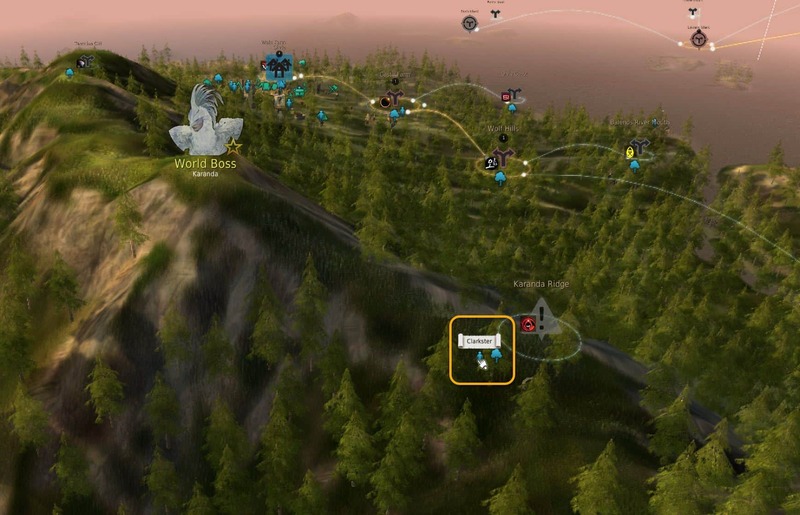 Increase amity with node manager Clarkster of Karanda ridge. To increase this you have to gain knowledge on the harpies there and then talk to him. Close ranged standard attack. Easy to dodge as long as you stay behind her. When you catch aggro she will turn towards you with this attack. Shriek is Karanda standard ranged attack. When you catch aggro and are out of range for her claw attack she will shriek to attack you. It’s a projectile attack which follows you and does moderate damage. If you run away in a straight line it might still hit you because she shrieked before you left her range. Hiding behind the various small obstacles at her spawn will get you in the clear as well. She will fly into the air, differently from ‘Ascend’ and call upon her subjects. An army of harpies comes to Karanda’s aid. These harpies are not very strong but still capable of dealing damage at low amounts of DP. Try to stay with the bunch of players also at scene in order to deal with them quickly and not taking too much aggro from them yourself. A close range AoE attack which is easy to dodge once you know the animation. Karanda knocks down on the ground, jumping up in to the air immediately. You want to make sure to get away from her asap to dodge the deadly fall of featherdaggers that follows. A long range AoE attack. Just as easy to dodge as Ascend when you pay attention. For this attack Karanda doesn’t hit the ground but instead just flies up slowly. A rain of featherdaggers then falls down in a wide circle around her. Move in close to/under her to dodge this attack. 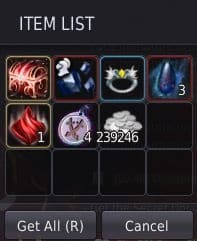 Karanda drops the best awakening weapon in the game through the Dandelion Weapon Box. Further there’s, just like with Kzarka, a chance at crystals, black stones, silver, gold bars and hunter seals. Karanda also drops feathers. 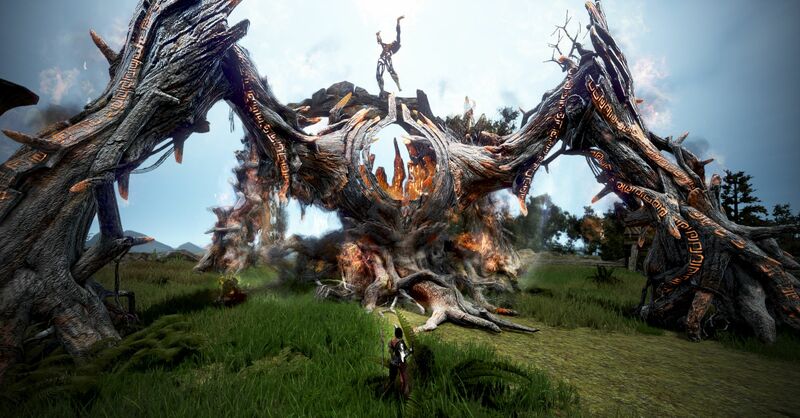 Kutum is in my opinion the hardest of the 4 ‘normal’ world bosses in BDO it is an ultimate skill check on yourself and your reaction times. 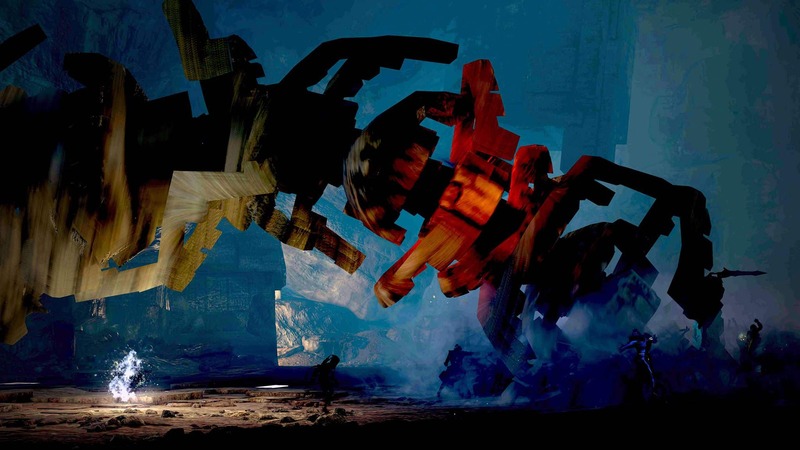 The boss attacks quick and deadly but once you have control over its movements it’ll be a lot of fun. Kutum is located “in” the Desert. You don’t have to travel the desert to get there. Star Anise Tea and Purified Water are a must. To reach him you travel upwards in Valencia past Cadry Guardians. Kutum’s knowledge can be gained by increasing amity with Desalam. An archeologist found in front of his cave. There’s also a quest which allows you to gain knowledge. You have to find 5 artifacts in the cave and talk to two more people to get it. This likely doesn’t result in high grade knowledge which makes increasing amity with Desalam the leftover choice. Kutums standard melee attack. Multiple hits of which the first one deals a ton of damage. Kutum has an animation (he somewhat pents up) before every cleave so you’ll see it coming. I recommend more than 200 Dp for Kutum just because of this attack. The first attack causes stiffness so when you don’t dodge it all others hit you as well. 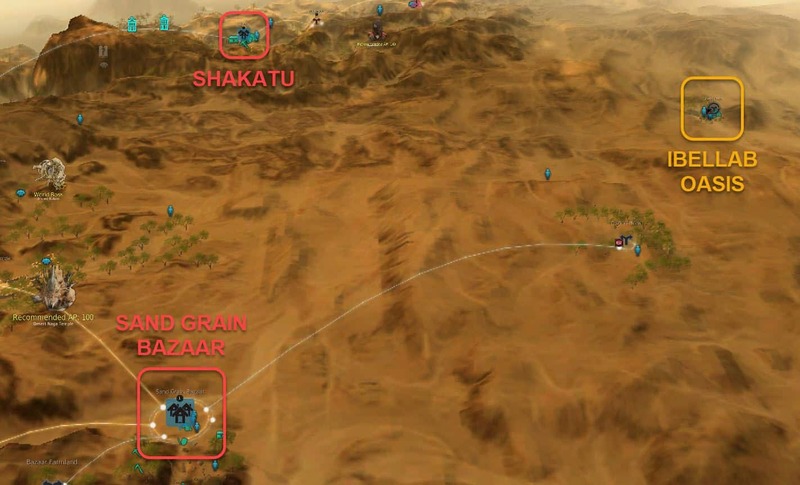 Kutums standard ranged attack. Deals minimum damage and he will only use it when you’re taking aggro from far away at the edge of the cave. He digs himself into the sand to jump twice. The attack deals high damage and includes a knock down in a big area around the place he unburrows. Classes with block can stand idle on their spot. If you face Kutum straight on it will not deal damage. If you’re not facing him the damage is minor. If this isn’t working for you try leaving the chamber until he unburrows. After his two attacks Kutum will unburrow in the middle of the room and deal damage to everyone close to the middle. Kutums strongest attack. It charges for a while before he uses it so you’ll be able to see it coming in time. The range is long so your best bet is blocking it. Reach 50% HP and Kutum will go mad. He’ll burrow and instead of attack immediately emerge in the middle of the room stronger than before. The whole cavern will be damaged by lightning which you can block if your class allows it. Otherwise you should run out of the cavern. All of his attacks will deal more damage and another lightning attack will be used from now on. Once Kutum goes mad he will 1-2 times per fight use an AoE lightning attack which will basically cover the whole room but a small area around him. As the animation is different than the Vacuum or Cleave attack it is pretty easy to see and therefore to dodge by moving in close to him. Kutum’s Sealed Sub Weapon Box is the second boss gear sub weapon in the game. Very important for late game PvE grinding since it gives a lot of accuracy and Dp which allows you to hit those monsters at Hysteria and Ghyfins but also to survive their attacks. Further Kutum also drops Latent Aura’s, Black Stones, Crystal’s, Silver and Hunter Seals. 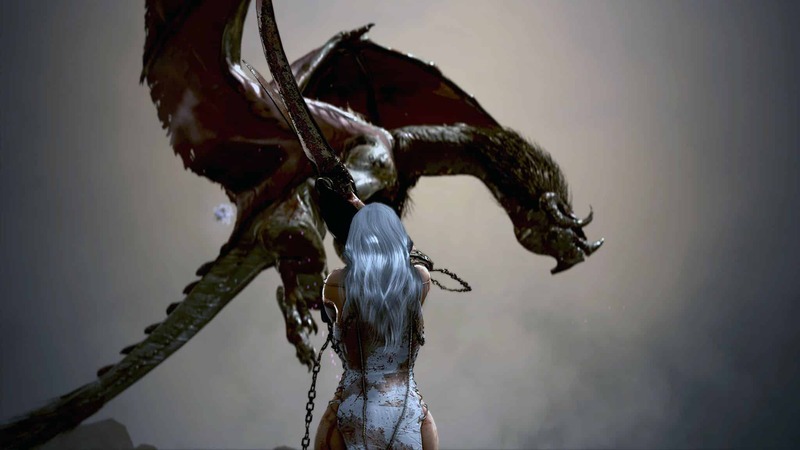 A massive dragon and in my opinion the current coolest boss in BDO. His harder to reach location makes him less popular than the others. South-East of Sand Grain Bazaar he isn’t located as frighteningly deep in the desert as most people think. Make sure to stock up on Star Anise Tea and Purified Water. Getting knowledge on this boss is a little more annoying than the others. 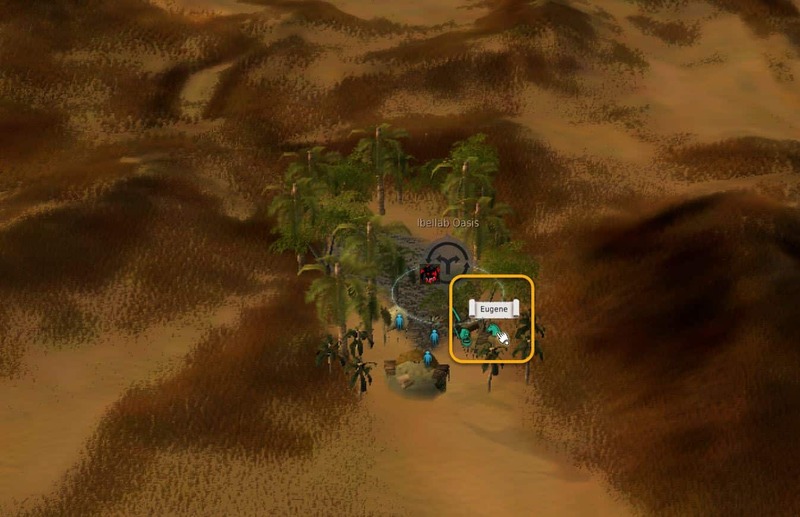 You have to go to Ibellab Oasis which is located in the desert. You might want to bring energy tonics as well as the anise tea and water. 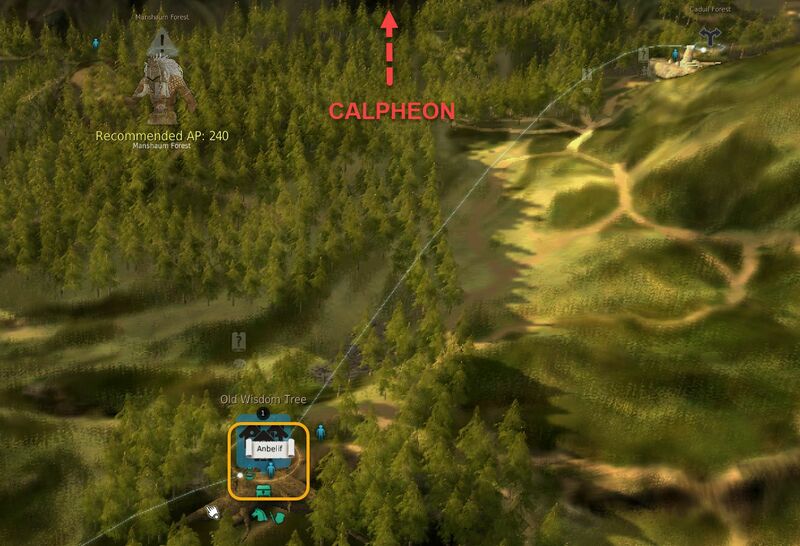 With the energy tonics you can reset the knowledge as many times as you want until you get that wanted A+ or S.
This would mean that before you go here, place an alt at Calpheon library where it’ll cost 10 energy to reset. Then it’ll cost 35 energy to refresh the knowledge by taking to Eugene in Ibellab. Once you’re properly prepared you search for Eugene in Ibellab and complete his three missions. They are all the same, you have to locate a book close to the oasis in the desert. 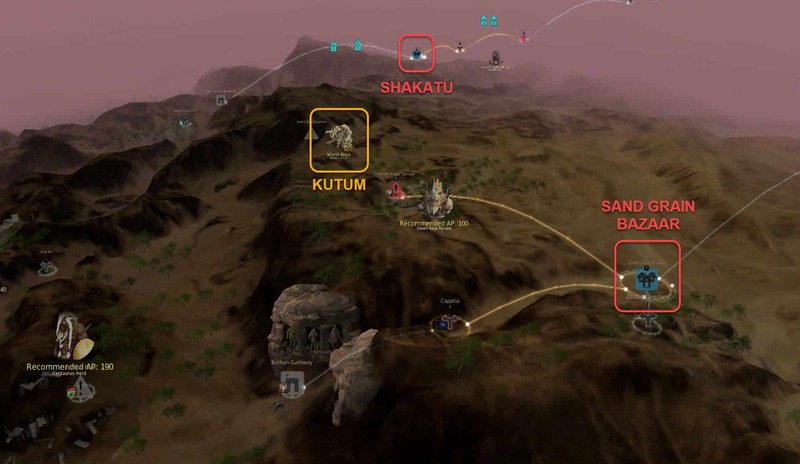 Before you walk into the oasis you should use your map to position yourself at the right angle and then just run into the desert until the quest circle (small yellow dot) appears on your minimap. After the third quest you will get the knowledge simply by talking to him. Once again we start with the most frequently used attack. Nouver quickly turns his body up to 180 degrees to slash his claw through the air. He stops at the player who is taking aggro at this moment which means he might sweep the entire distance or just a small part. He lifts his paw shortly before swinging it so when you’re quick you can dodge it. Nouver lifts his wings, winding up a tiny bit in one direction before lashing out the other way around. The hitbox includes a 90 degree angle from his head to the back of his legs and a smaller hitbox at the opposite side where his tail and legs move. As a ranged class you’re recommended to back away. As a melee you could try to dash through its legs to the other side when he starts winding up. Be careful of the tail though because you might still get hit. Nouver jumps and smashes into the ground to deal damage. Before jumping he crouches as a predator would. He crouches in the opposite direction of the jump and can jump to any side, even backwards. Just before using fire breath Nouver will lift the upper half of its body. He can breathe fire more than once but will lift his head every time. Either dodge sideways since it is a small cone or try to dash past him when he starts lifting his head to get in some free attacks at his backside. Nouver burrows underground leaving a sandstorm behind. The storm doesn’t move but can knock you down when you get caught in it which will leave you vulnerable to its multi attack. When you’re caught in it spam evasive abilities to get out. Nouver flies up and rains fire on his challengers from the sky. When you get hit it can result in a knock down which endangers you to get hit multiple times since he often targets the same place more than once. Relying on sound to dodge this attack works better than sight since the fire moves very fast. Now the reward for learning this entire world boss, Nouver’s Sealed Sub Weapon Box. The best PvP sub weapon in the game and an important item for every class. Further Nouver is eligible for Latent Aura’s, Black Stones, Silver, Crystal’s and Hunter Seals just like the other bosses. Offin is the strongest boss of the five. I would recommend at least 250 DP for this boss and a proper amount of potions. Use gear without crystals if you don’t want to lose them and your EXP. Valencia meal or steamed whale meal should be great to take as well. In Kamasylve, north of Central Lemoria Camp very close to the mountains lies Mirumok Ruins. To gain knowledge over Offin you need to increase amity with Anbelif at the Old Wisdom Tree. This boss is a lot less commonly known than the others. A quick explanation would be that Tett is controlling Offin from inside the machine. The cockpit is guarded but you can shoot at it with matchlocks until it breaks. The other strategy is destroying its roots. Once the last root is destroyed Tett will come out and you can fight him. There will be 3 Tett’s but the yellow one is the real one. The two blue Tett’s shouldn’t be attacked but you do want to be careful as his spear charge attack will be deadly when all three Tetts throw their spear at the same time. 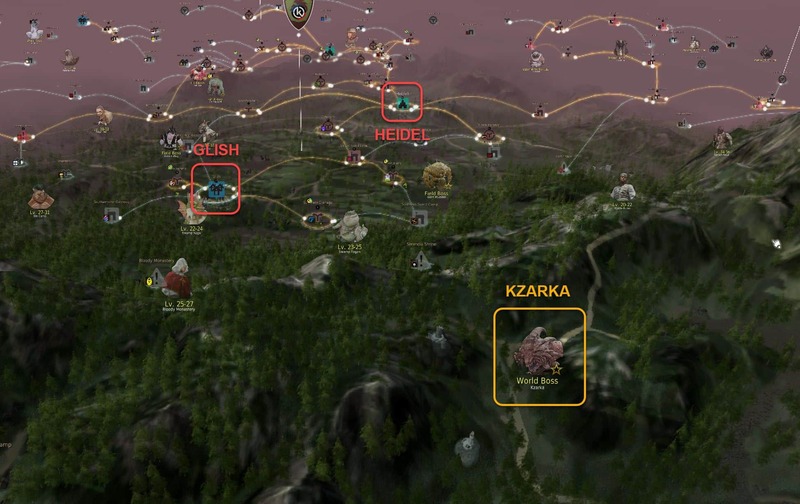 The spear lands in the ground and deals AoE damage around the impacted area. Once the first root is destroyed Tett will come out of Offin. When his HP sinks to 70% he will re enter Offin. Then when the second root is destroyed Tett will come out again and then move into Offin once more when he drops to 30%. When you destroy the third root Tett will come out a last time for you to kill once and for all. If you have broken the cockpit with matchlocks Tett will not re enter the cockpit which means you’ll only have to destroy the first two roots. You can get the new Boss main-hand from Offin Tett’s Sealed Light Weapon Box, or by exchanging 100 Offin Tett’s Light Fragments with one weapon. Offin Tett’s Light Fragment works like the Latent Aura of other World Bosses. Dikzipo the blacksmith in Graana will make the weapon for you. Further rewards include Valtarra’s Eclipsed Belt, silver, gold bars, black stones and the Lemoria set.